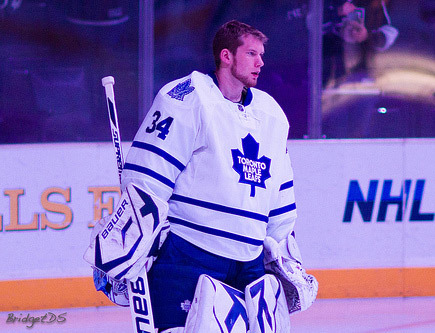 Good news: James Reimer gave another solid performance on Saturday night, posting his second shutout in just his fourteenth NHL game. Bad news: The Leafs were also shut out, losing to newly acquired Craig Anderson in the shoot-out after failing to score on 47 attempts. In just their 59th game, Toronto managed to be shut out for a league high tenth time, six higher than the league average. What is the cause for this confounding level of inconsistency? Well, there are dozens of reasons, most of which could be found in a blog almost daily or in comments in Leaf threads. The Leafs lack of consistent scoring is arguably the biggest reason why Toronto is on the outside of a playoff spot looking in. If Toronto had even taken just one point in five of those contests, they would only be two points out of a playoff spot and ninth in the Eastern Conference.